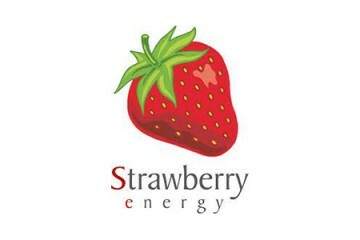 Better quality of life and green energy solutions lie at the heart of Strawberry Energy’s mission. Since the company was formed by students from the University of Belgrade, it has been setting about improving environments by focusing on green solutions to urban living. With its award winning Strawberry Tree design, a public wi-fi and charging station for mobile devices including phones and tablets powered by solar panels, the company has set a standard for others to follow. With installations in the company’s native Serbia, the Balkans region and in the US, demand for their products is predicted to rise. Cost efficiency and the need for more sustainable solutions coupled with consumer need for near constant charging facilities offers a real opportunity to take the company’s innovative ideas further. A range of products is now in production for different environments. Unfortunately, life on the cutting edge of design can be tricky on a sourcing level should components not be available as required. Ask any professional buyer their biggest frustration and they are likely to cite excessive lead times as the main issue. Strawberry Energy contacted us at Leotronics via our website with a list of parts that were required urgently to meet their manufacturing deadlines. With around 11 weeks lead time being quoted by other suppliers, we knew this was an opportunity to demonstrate our flexibility and enhanced warehousing capability. Competitive pricing and stock availability meant that we were able to dispatch within 24 hours. Milan Bosnić, Head of Product Development and International Sales told us he is looking forward to future cooperation as the business is shifting a serious proportion of its business to the UK. At Leotronics we are proud to supply the innovators of the world, particularly those dedicated to improving lives while protecting the environment. Excessive lead times causing you a problem? Contact us today for a competitive quote. Please complete our contact form and a technical consultant will respond to your query within 24 hours.